Business communications used to be about making and receiving phone calls, and were designed around closed networks and fixed, physical locations. But today's businesses are much more distributed, mobile and collaborative, and want to take advantage of digital tools such as email, messaging, video, content sharing and other rich media applications. Hosted (or cloud) VoIP phone systems have converged voice and data, providing a vast array of business benefits typically at a much lower cost. Ebook: "Is Your Old Phone System Holding You Back?" 1. Supports Remote Working. Over 40% of U.S. workers now telecommute at least some of the time, thanks to advances in technology. Hosted VoIP makes it easy and affordable to connect remote employees, giving them access to the same communication and collaboration technology as those in the office, from not only a deskphone, but their laptop, tablet or smartphone. 2. Reduces Time Spent on Voicemails. It's easy to miss important phone calls, and cycling through a bunch of voicemails to figure out which ones are actually relevant is time-consuming. Most VoIP services will convert your voicemails into emails - it's been proven we're far more likely to check email than voicemail. This also makes it simple to forward to other individuals when need be. 3. Enables Calls to be Efficiently Managed. VoIP services have a ton of automated features that previously only big companies with expensive PBX systems could afford. This includes automated attendants, call queues, hunt groups, virtual waiting rooms, computer integration, and more. The even bigger news is you get access to all these features without having to pay extra, and get instant updates and upgrades that are deployed automatically through the cloud. 4. Reduces the Management Burden. With hosted VoIP, there is no need for an in-house telephony expert to be on staff to manage the system. Never had an expert on staff? That probably meant it was the part-time headache of someone whose primary job was not telephony, which likely was draining their productivity. 5. Supports Business Cycles. When your business moves or grows, cloud hosted VoIP provides the flexibility and scalability to easily and cost-effectively scale up or down with your needs. You can quickly deploy new services for employees where ever they may be, much more efficiently than before. Conversely, why pay for services you're not using during seasonal or event-driven fluctuations in your business? 6. Maximum uptime and disaster recovery. This is arguably the most important benefit that greatly adds to your business continuity and therefore, productivity. Uptime is crucial, and through multiple, remotely hosted data centers redundancy is guaranteed, unlike on-premise systems. And should a physical disaster occur, employess can plug in and work from anywhere, on their deskphones, PCs, tablets or smartphones. At Ntiva, we recognize that the world of IT and telephony have converged, and that our clients are looking for a single source to turn to for all of their core business technology. Contact us if you'd like to discuss how we can help your organization. Interested in learning more about hosted VoIP? 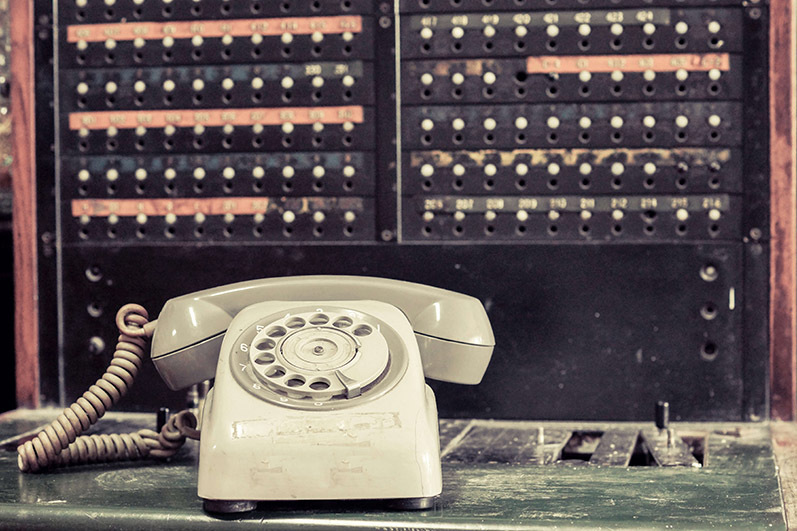 Scroll through our latest ebook "Is Your Old Business Phone System Holding You Back?"